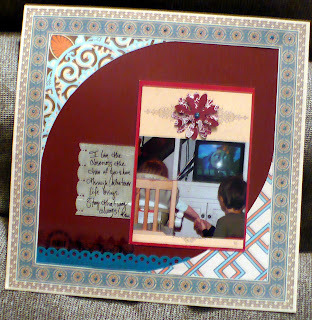 I'm still LOVING my Guest Designer kit from Scrap for a Cure! This kit has been so much fun to work with and so versatile for everything I have created with it. Here is a layout I did of my two kiddos when they were sharing one of those sweet and innocent moments. You know, those times where you go awe and quickly snap a picture for posterity because you know that it is a fleeting moment that will not last. 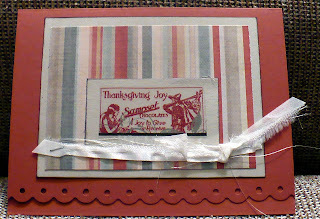 I also decided to make a cute little Thanksgiving or Harvest card for someone special. I'm still trying to figure out who to send it to! I have a bunch of special people in my life who I should send it to. Enjoy your day and remember to capture those moments that are special!